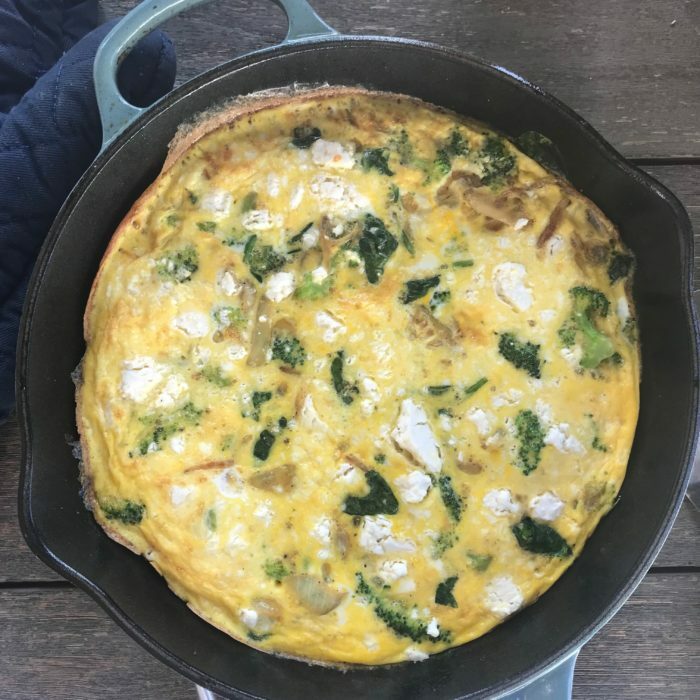 This is usually my go to brunch on Sundays, I use veggies I still have in my fridge or in my freezer from the week and my whole family loves it. I serve a nice green salad on the side and it's a winner! Plus if I ever have any leftovers it makes the boys' school lunch!!! In a 9 inch pan, sauté the onion with 2 tbsp of olive oil for 5-10 minutes without burning it! Add the brocoli and season according to taste. Beat the eggs in a bowl and pour over the brocoli and onion, let it set for 2-3 minutes and crumble the feta all over. Place in the oven for 20-25 minutes util completely set!